Veterans have numerous benefits at their disposal, and rightfully so. Typically, veterans will use the Veterans Administration (VA) as their prime source for learning more about veteran benefits. If you are a veteran and are looking for more information about the benefits that may be available to you, check out the information below. Additionally, call your local VA to discuss possible benefits for you and your family. Costs for long-term care can quickly add up, so having veteran benefits can be helpful when a veteran or surviving spouse needs to enter a long-term care facility. Often termed “Aid and Attendance,” this program offers a monthly cash benefit to wartime veterans or the surviving spouse of the veteran who qualifies for the medical and financial criteria. This benefit is available to any veteran who has served 90 days with at least one day during war. Veterans above the legal limit for pension from the VA may still qualify for Aid and Attendance if they have substantial medical costs that don’t receive reimbursement. The veteran or spouse must have less than $80,000 assets to qualify. If you’ve experienced an injury or disease while on active duty that had also caused a disability, there are also benefits that may be helpful for covering medical costs. For disability benefits, the VA provides two different programs: disability pension and disability compensation. The pension program is available for any veteran who has both a disability and had served during wartime. Compensation, on the other hand is only available for veterans who have service-connected disabilities. The severity of the disability also determines the amount of compensation one receives. Veteran benefits and veteran retirement planning is essential for ensuring you and your family are well taken care of after you enter civilian life. If you’re seeking options for long-term care or advice regarding long-term planning, you’ll probably need professional assistance. 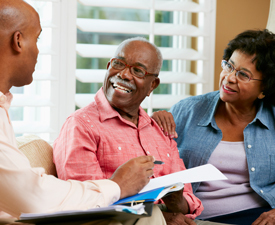 The Elder Law Firm PC provides assistance in long-term care planning for Michigan residents. Additionally, if you have a question regarding Medicare, Medicaid, or any of your other options for long-term care, please call us at (877) 933-7252. 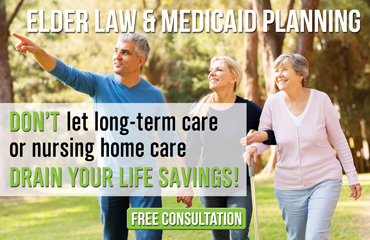 Residents in the Grand Rapids area can also attend a free seminar led by attorney The Elder Law Firm PC several times a month regarding Medicaid planning. Call to reserve your spot at this exciting and informative event.